INNOVATIVE DESIGN: Lid top zippered closure with fully insulated lining to keep cold items cold and hot items hot. 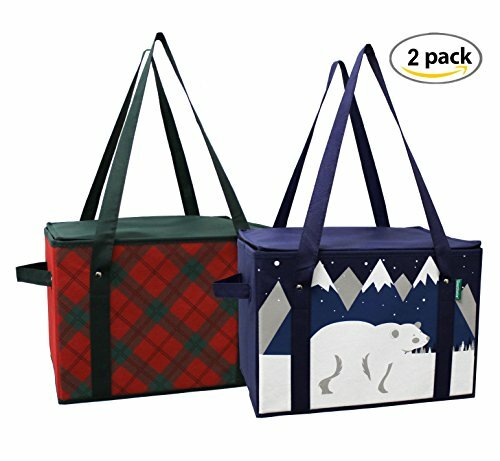 STAYS FLAT IN YOUR CAR OR TRUNK: Each bag has a removable, fold down bottom piece insert for extra durability, with the handles sewn all the way to the bottom of the bag for added strength which keeps these bags flat and sturdy in your trunk so your groceries wont move around on the ride home. 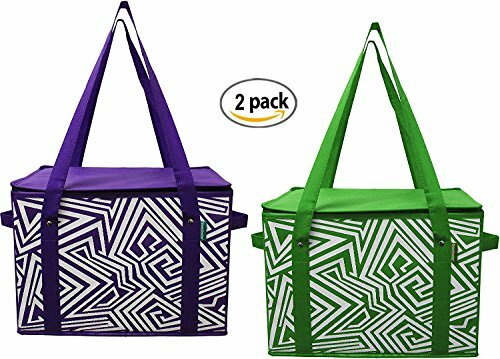 LARGE CAPACITY: Size 10" H x 14.5" W x 10" D. These bags hold a lot and are great for grocery shopping, picnics, the beach, concerts, parties and more. EXTRA SIDE HANDLES FOR EASY LIFTING: Our bags have side handles for easy lifting of heavy loads. 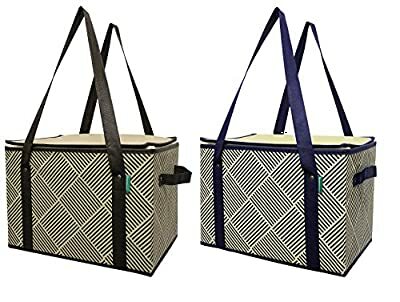 Holds up to 30 lbs. 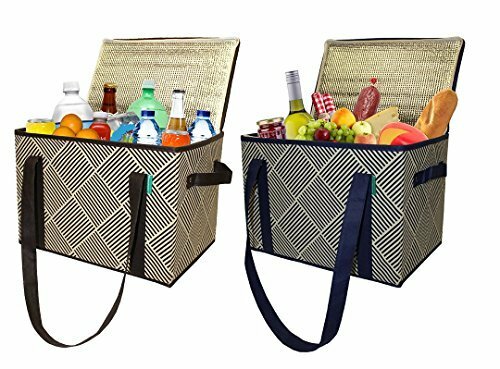 These bags are also make great FOOD DELIVERY BAGS for hot or cold food delivery. 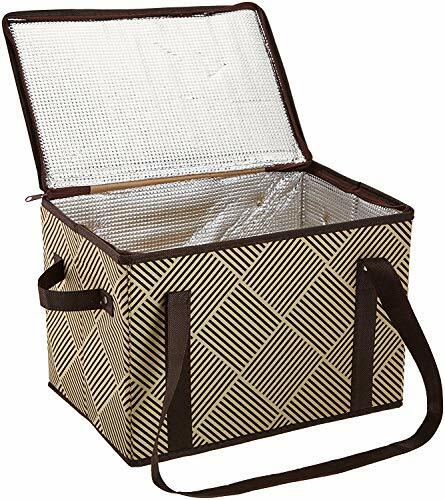 FOLDS COMPLETELY FLAT for easy storage in a kitchen drawer, under a car seat or in your trunk.